When buying a car, it’s important to consider all of your options. As well as thinking about what car you should buy, you should consider how you plan to pay for it. There are several different options available, each with their own pros and cons, including paying cash to buy a car upfront, and taking out a car loan to be repaid over time. You find a car you like. You pay the dealer or owner money. The car is now yours. What could be simpler? Sure, the are a few more steps to make sure your new car purchase is properly registered, insured and so on, but buying a car outright means far less time and effort spent worrying about application forms and credit checks. Paying cash and buying a car outright means the vehicle can instantly become yours, to use as you will. If you find a better model a couple of years down the line and want to sell up or trade in your current vehicle, the option will be available to you, without having to worry about break fees or loan repayments. Buying a car in one transaction can be a big deal, but it can sometimes prove less expensive in total than paying back a car loan over a long length of time. Paying with a lump sum of cash means you don’t need to pay extra over time for fees and interest charges, so your wallet could end up better off in the long run. It’s no secret that cars are often expensive, especially new vehicles. Unless you have a substantial bank balance available, some nicer cars could fall outside of your price range, leaving you to make your choice from the cheaper, less feature-packed options, which may not suit your needs, and may be at higher risk of future breakdowns. Because cars are expensive, you may need to put the lion’s share of the money in your savings account towards paying for one upfront. And to state the obvious, once you’ve spent this money, it’s gone. This could potentially leave you in a tricky situation if you run into unexpected expenses such as surprise medical bills, and don’t have enough funds available to cover these costs. Unless you fortuitously come into money, building up enough cash to buy a car outright is going to take some time and dedication. 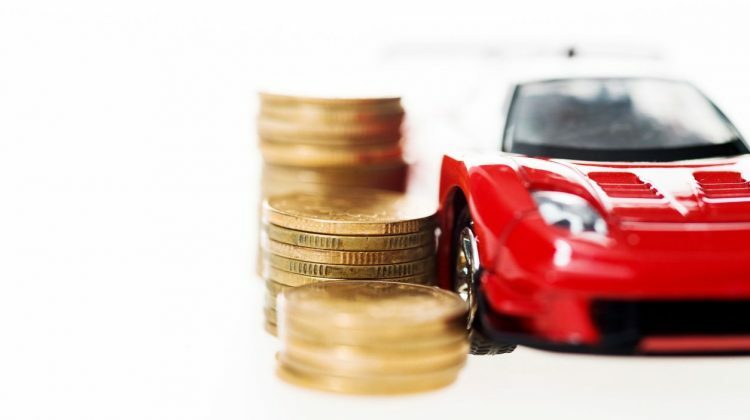 Even with the help of a dedicated savings account that can grow our wealth by earning interest, you may be waiting a while before you can roll away in your new car. And the longer it takes to save, the greater the risk of financial emergency popping up when you least expect it, which could put you back at square one again. As long as you can comfortably afford the repayments, a car loan can help you buy more expensive vehicles than you’d realistically be able to purchase otherwise. This can allow you to buy a car that’s better suited to your needs, one that’s renowned for reliable performance, or one with a few luxury features that can help improve your diving experience. Any time you borrow money, whether for a car loan, personal loan, credit card or mortgage, the lender will check your credit history. Buy successfully applying for and responsibly paying back a car loan, you can demonstrate to lenders that you’re a relatively safe risk, and potentially improve your likelihood of being approved for credit in the future. Also, with Comprehensive Credit Reporting (CCR) becoming more prevalent in Australia, positive events in your credit history (such as paying back a car loan) can help to undo some of the damage to your credit rating caused by past negative events (such as loan defaults). Over time, a carefully managed car loan could potentially contribute to repairing a bad credit rating. Rather than saving up a large sum, then emptying your bank account to buy a car, leaving you at risk of financial hardship, a car loan can let you stretch out your car payments over several years. With some careful budgeting, it’s usually possible to cover your car loan’s monthly repayments while keeping enough of your household finances available to cover everyday costs and emergency expenses. Also, some car loans allow you to make extra repayments and redraw these in tough times – you can get ahead on your car loan repayments without worrying about locking too much of your money into your loan in case of financial emergency. Borrowing the money to buy your car, then paying back your car loan over time can end up costing you more in total than if you’d just bought the car in one big purchase. As well as covering the value of the car (which depreciates over time), car loan repayments also cost you interest, and often fees. Before applying for a car loan, it’s often worth tallying up the total cost of repayments, interest, fees and other charges, and deciding whether you’re still happy to pay this cost for your car. While a car loan can allow you to afford a greater variety of car options, the terms of your car loan can sometimes limit you to certain vehicles. For example, secured car loans often use the value of the vehicle you’re purchasing as collateral to guarantee the loan – this can limit you to purchasing more expensive new cars, or particular car makes and models, so your vehicle retains its value for longer. Unsecured car loans can usually be used to purchase any vehicle, new or used, but as they don’t require security, they’re more likely to charge higher interest rates, and to require a better credit rating to successfully apply. Many car loans use your vehicle as security, meaning if you fail to make your repayments and default on your loan, the lender can repossess and sell your car to make up for their losses. Defaulting on your car loan repayments often means you’re already struggling with financial hardship, but losing your car as well can make an already tough situation worse. For example, you may need a car for work, limiting your ability to get out of financial hardship, or you may struggle to meet your family commitments without the flexibility of your own vehicle. A car loan, like any lending product, can have a positive impact on your life if managed properly. However, if mishandled, a car loan can turn out to be a costly mistake that causes you financial and emotional stress. If you’re a student and you’re looking to purchase a car and are struggling to stump up the costs, RateCity will help outline some potential options to help you make the most informed financial decisions.